The tweet went out. The time was posted on the Police Activities League website. But for the second Tuesday in a row, no officers showed up to play soccer with the kids of working-class Visitacion Valley. 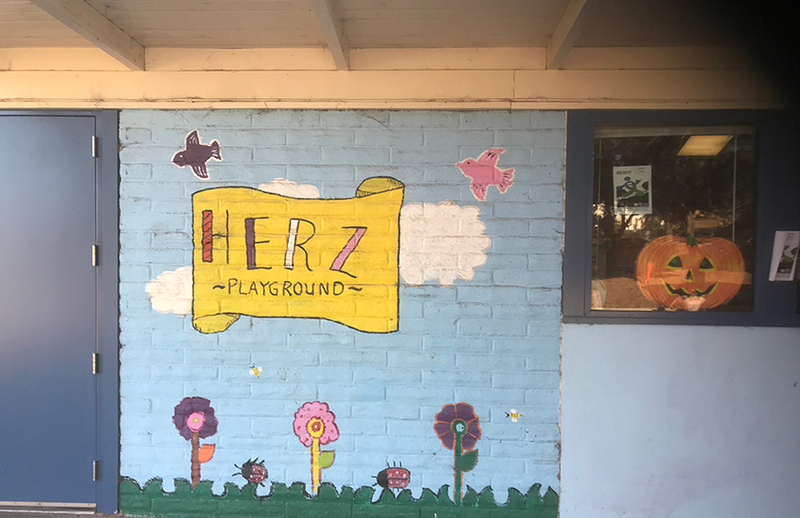 It was unclear if any of the children who filled the grassy field at the Herz Playground or gathered at the sandpits and slides were there for the soccer game, listed as taking place every Tuesday at 4 p.m. But no one asked. “The last couple of weeks, we have not been getting a lot of kids,” said Officer Albert Johnson, a member of the Ingleside Police Department and someone who assists in the sandlot program. Even when I called before the game, Johnson said he knew no one would be there. “I don’t want you to waste your time,” he said when I mentioned I would be going. The San Francisco Police Department often touts sports as an important way in which their officers engage with local communities, and I decided to write a story about the Herz soccer game. When no one showed up last week, I thought I probably got the time wrong. This week, however, it became clear that this was a pattern. Johnson and others there talked about the challenges. “Unfortunately, in certain areas, certain kids are taught to not like the police,” said Officer Johnson, who grew up playing sports in the Geneva Towers housing projects. Youth under the age of 18 make up about 15 percent of the city’s population, but in Visitacion Valley, that percentage jumps to 20 percent, according to the Community Plan Area Profiles. In short, there are plenty of children who would benefit from sports games. “Kids here — it already takes a particular type of person to approach them [the youth],” said Elora Belt, a community member. The SFPD, she said, will have to do more to connect with the youth in the area. The area struggles with issues of drug addiction, gun violence and poverty, and those problems impact the interactions between young residents and the police. Everette said that having a place for youth to be active helps them avoid harmful influences they’re exposed to on a daily basis. “It gives them something to do instead of walking around in the projects,” she said. Activities like football and swimming let the “mind wander, and kind of lets them know that there are other things,” she said. While Officer Johnson understands that “the only way to break that cycle is to engage the community,” it was unclear what the SFPD’s activity league would try next. The most immediate answer seemed to be to opt for a new day. As of today, the sandlot program has been moved from Tuesdays to Mondays at 4 p.m. So if no officers showed up, how are the officers “struggling to connect?” Where is the struggle? It seems like they’re not even trying, so maybe “Officers don’t bother to show up for community” would be a more appropriate headline.